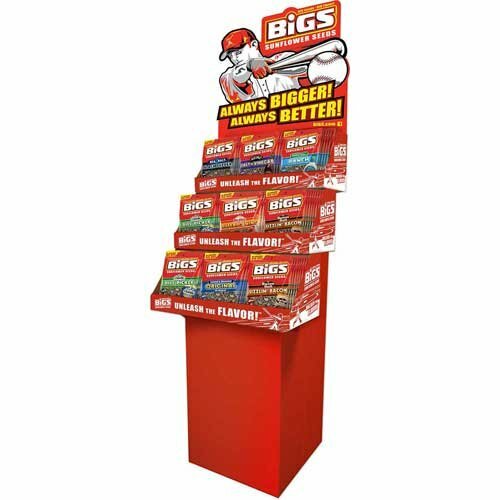 Bigs Assorted Sunflower Seeds Shipper, 5.35 Ounce -- 72 per case. Bigs Assorted Sunflower Seeds Shipper, 5.35 Ounce -- 72 per case. Big Seeds, Big Flavor. Usa Made. Store In A Cool, Dry Place. If you have any questions about this product by Thanasi, contact us by completing and submitting the form below. If you are looking for a specif part number, please include it with your message.